Weighted vests are a great way to personalize your workouts as they allow you to add on extra weight depending on your fitness level and needs. 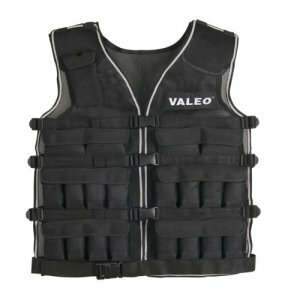 The Valeo WV40 is a 40lb vest with weights that can be adjusted in increments of 1lb up to a maximum of 40 lbs. This vest has a number of pockets around the chest and torso to distribute the weight evenly while you workout. Using a weighted vest will improve your cardio, strength, muscle endurance and agility. This vest is made with a breathable mesh and it comes with four adjustable front clip belts. 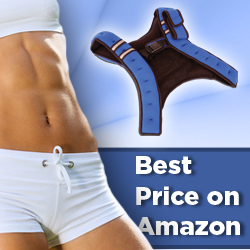 The shoulder padding is reinforced to prevent excess strain or pinching on your neck and shoulders. It comes in one size which should fit most people.